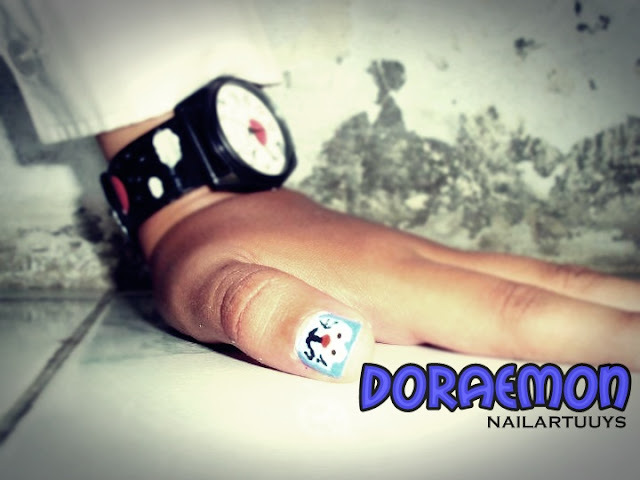 This is first my nail art. 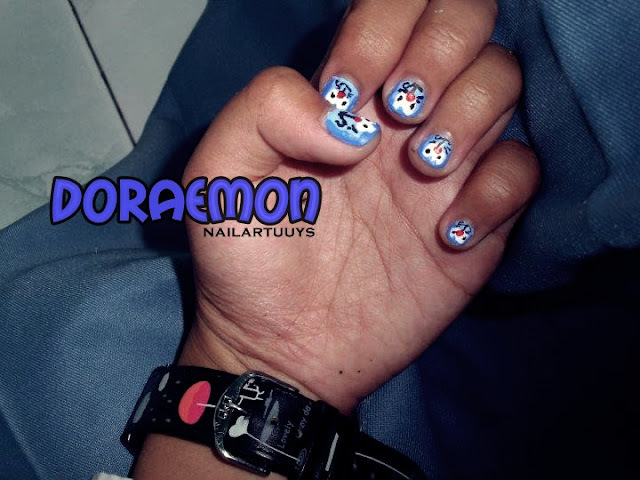 I maked it with kesuwungan dan kesuwungan on the school. First, I don't know for what residual from poster color. 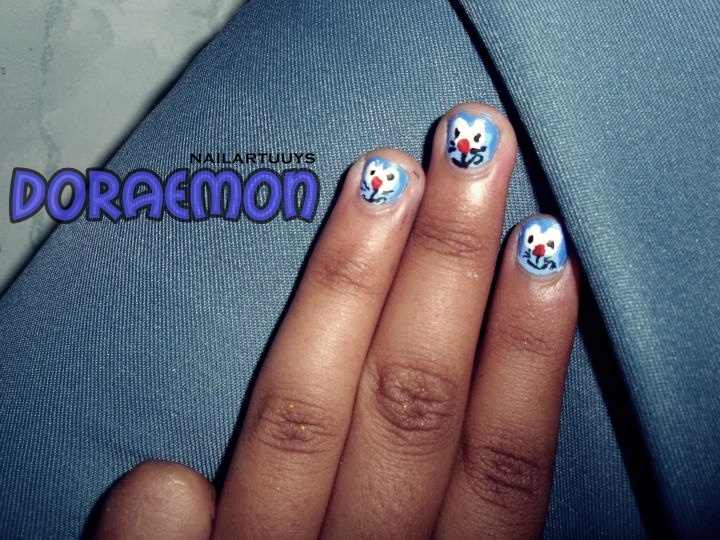 And.......... by the way from suwung dari kesuwungan I could find more including Nail art Doraemon, although my raport ugly, disgusting and iyuuh to saw it.